EaseUS Data Recovery Software - Retrieve what you need!! EaseUS Data Recovery Software – Retrieve what you need!! Finally, the day arrived when I was rewarded for completion of my project. I still remember that day when suddenly my system started blinking and due to power shortage, it got crashed. Ohh!! It was the day full of trauma because I was so anxious that whether I would be able to continue my work or will be able to meet the deadline. But yes it happened!! Thanks to EaseUS and as it name depicts, it has really made my life easy in those times. 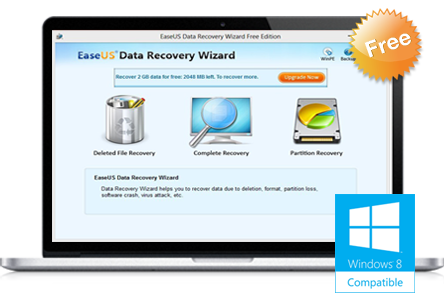 The EaseUS data recovery software helps you recover all your lost data from any of your mostly used storage devices. Not only does it work on all versions of Windows, but also supports other mostly used operating systems such as MAC, iOS, and Android. That day I found it the solution of all my worries as I was on the verge of completion of my project and was inadvertently put into that difficult situation. I lost my data due to system crash and recovered it through this useful software which can also be used to recover the lost data from even smallest micro SD card to big devices such as laptops, camcorder or hard drives. Complete recovery of lost data with few simple steps. 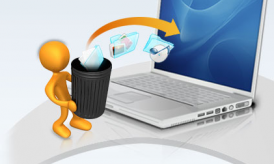 Reasons can be formatting, deleting, crash, virus, Shift+Delete, deletion without backup or any unknown incident. User friendly and supports all widely used operating systems such Windows, MAC, iOS etc. 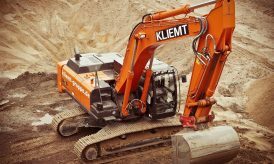 Also reliable for its 24*7 customer services. Selecting the recovery mode, such as graphics, audio, video, document, photos etc. Preview the selected files, recover and save it for your use. AND the data was back in my system!! It gave me a sigh of relief and I continued with my work which finally gave me rewards. One more USP of the product is its availability in three different languages, i.e. Japanese, Deutsch and English and the reviews from trusted users which makes it more reliable and safe. This easy to use software is also topping the charts with several other added features such as backup software, partition master for conveniently managing the disks, and also provide data recovery free for files, photos, music etc. from the mobile devices. The users can vary from home office users, business office to others such as service providers. All the users must have faced data loss at some point for which there is a new remedy available in market, i.e., EaseUS data recovery software. Check it out and wishing that you would found it helpful too!! I may think to buy it. this will help me with my data.